Miller & Pflueger’s innovative skyscraper 450 Sutter was named to the National Register of Historic Places, as of last month. The stunning Mayan themed 26-story high rise building, completed in 1929, was described in the application as a “masterwork” of noted San Francisco architect, Timothy Pflueger. The listing is on the National Parks Service Web site here. Congrats to Harsch Investment Properties, the owners of the 450 Sutter Medical/Dental building. The company just completed a major restoration project, and the scaffolding that had been in front of the building for over two years has now come down. I recently went on the Coit Tower murals tour with San Francisco City Guides, where the tour has access to the second floor closed to the public. On the wall of the staircase leading to the second floor of the tower is a massive fresco mural depicting a walk up Powell Street. One sees a very large and familiar building. Labaudt, who was also known as a dressmaker, was born in Paris and moved to San Francisco right after the 1906 earthquake. He had a dressmaking shop and was an artist in his spare time. He eventually became known for his painting and theatre set designs and was chosen to join the 26 artists sponsored by the Works Progress Administration to paint the Coit Tower murals. The tower, designed by architect Arthur Brown, Jr., was completed in 1933. 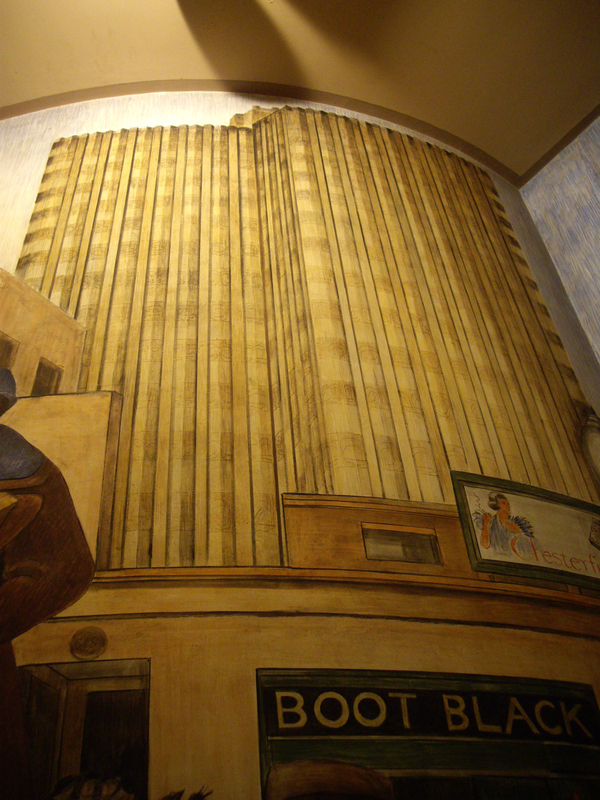 Ralph Stackpole, who sculpted the large figures outside the San Francisco Stock Exchange for Pflueger, also worked on the Coit Tower murals. Labaudt is probably best known in San Francisco for his murals at the Beach Chalet on the Great Highway. 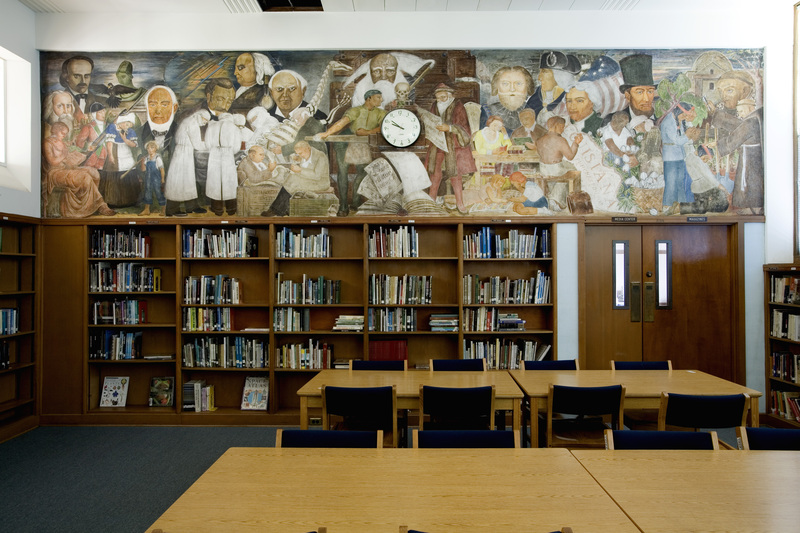 But he was also one of the artists hired by Pflueger to work on murals at George Washington High School. Along with the murals that adorn the staircase in the main entry hall by Victor Arnautoff, telling the story of George Washington, Labaudt painted another fresco mural in the upstairs library. You can read more about him in this oral history with his second wife, Marcelle Labaudt, in the Archives of American Art of the Smithsonian Institution. It is nice to definitely find a web site where the blogger is polished. Thanks for creating your web site.